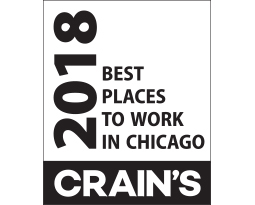 CHICAGO, IL – MARCH 27, 2018 – Advanced Resources, a talent solutions organization, has been named a finalist by Crain’s Chicago as one of the year’s Best Places to Work in Chicago. The survey and awards program is designed to identify, recognize and honor the 100 best companies to work for in Chicago. The full Best Places to Work in Chicago ranking will be announced at an event on April 12 and featured in the April 16 issue of Crain’s. It will also be available online at www.chicagobusiness.com. Determining the Best Places to Work in Chicago involved a two-step process. The first step consisted of evaluating each participating company’s workplace policies, practices, and demographics. The second part consisted of employee surveys aimed at assessing the experiences and attitudes of individual employees with respect to their workplace. The combined scores determined the best companies and the final ranking.